I have a friend Nancy Frank Radin, you met her here, and guess what, she does not buy retail. This photo is of her 1980 vintage Dr. Martens. How cool are those? I have always had a point of view that I can’t buy vintage because it does not come in my size, and that I have to buy retail, but Nancy is proving me wrong. Maybe it is time to try a consignment store or two. I would love to know what your experience has been with all alternative forms of shopping: thrift stores, Facebook sites, online consignment, Goodwill. Tell me how to do it. Thanks Nancy, for making me think about things in a different way. Update: May 15, 2013: Nancy’s comments: I love the look of those black and white shoes, so graphic and comfortable yeah even good wheels and Goodwill’s have plus size racks now it’s great to repurpose and recycle clothing. This entry was posted in Online Plus Size fashion, Outfit of the Day (OOTD) and tagged Affinity Mingle Plus Size Clothing, plus size shoes, plus size vintage by affatshionista. Bookmark the permalink. I am the same size you are, and I have actually found a few things lately at thrift stores….or at least things that I could try on and reject. There were plus size sections at all three of the ones I visited this week. There weren’t any vintage Dr. Martens, though. I’m having total shoe envy. Also, I think there is a plus-size consignment shop not too far away from me (I’m in Oklahoma City, it’s in a suburb about 15 miles north) that only takes stuff from the past year or two and only in really good condition. Their prices aren’t as cheap as thrifting, but they’re certainly cheaper than buying retail. Also, they pay pretty well for things you give them on consignment. Thanks so much for commenting, I love hearing from you. We have a local plus size consignment store that I have not been to recently that I will have to check out. 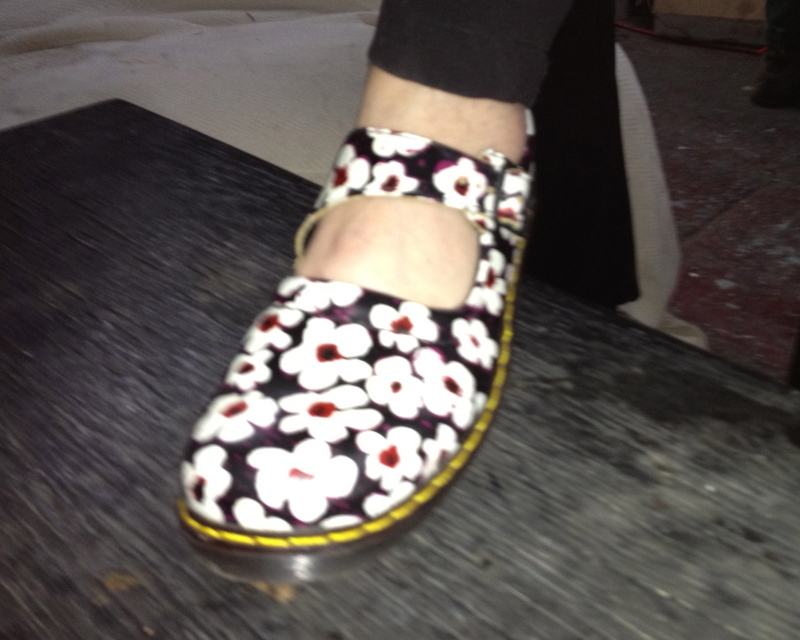 I too would love some vintage Dr. Martens….